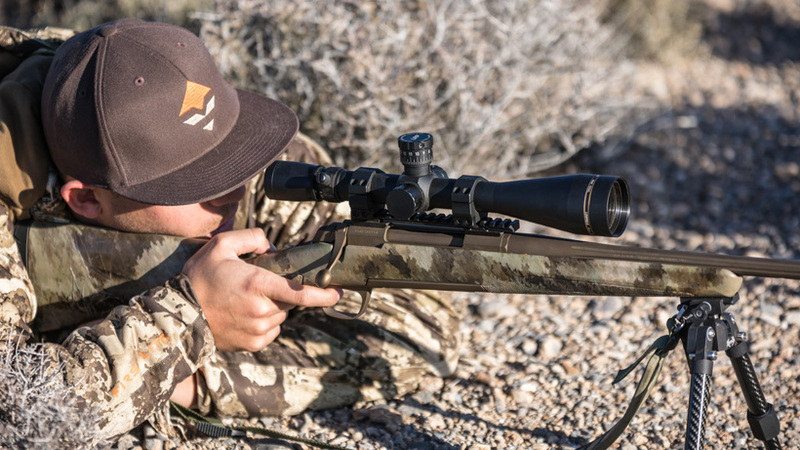 With the popularity of long-range shooting increasing across the West, it’s no surprise that many hunters are looking to upgrade their old scope. 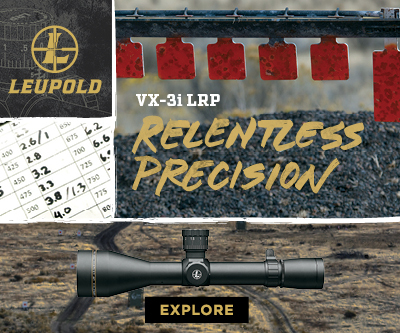 One may quickly find, however, that the sheer amount of options for optics can be overwhelming. Along with choosing between first and second focal plane two of the biggest decisions hunters will need to make will be whether to utilize adjustable turrets or bullet drop compensating (BDC) style reticles. How does an adjustable turret work? In essence, operating an adjustable turret for long range shooting is not any different than sighting in your rifle. Spinning the turret one direction will move the point of impact (POI) down while moving it in the opposite direction will move the POI up. The biggest challenge in the whole equation will be establishing your trajectory profile, or DOPE (Data Observed from Previous Engagements), as it’s commonly referred to. 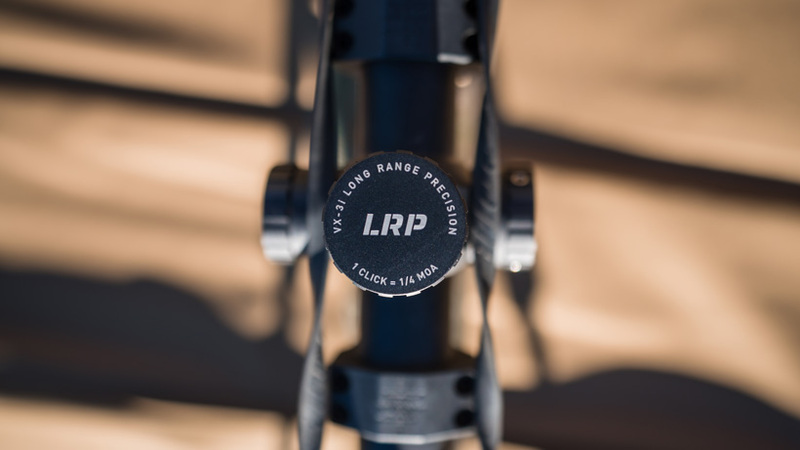 Your rifle’s trajectory is figured through complex measurements that include scope height, muzzle velocity, bullet weight and model, among others. 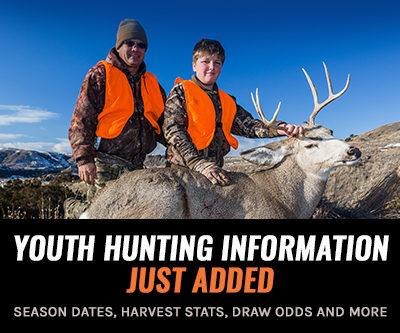 This information can then be plugged into a ballistic program or app that will generate your drop chart. From this point, your corresponding drop chart will show how much compensation is needed for your firearm and load to hit a target at any given distance. This process can sound complicated, but it is much easier than most anticipate. The primary advantage to this system is that after adjusting your scope for a given distance all that is left to do is to hold dead on the target with the center of the crosshair and execute the shot. This eliminates the need to use hold over hash marks that are less precise and accurate. This also keeps hunters in a familiar mindset as the human eye naturally focuses on the center of any circular object. How does a BDC reticle work? 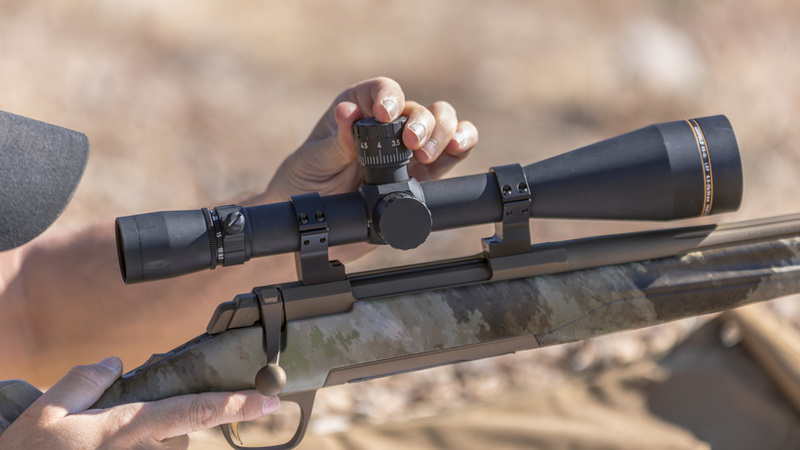 Like an adjustable turret, a BDC reticle aims to take advantage of a known line of travel-bullet trajectory-to establish precise aiming points at given yardages. BDC reticles can typically be found in two primary styles: absolute hash marks and unspecified hash marks. Absolute hash marks will be represented in the scope as specific measurements either by minutes of angle (MOA) or milradians (MRAD). This will work similarly to the adjustable turret in the effect that users would refer to a DOPE chart to calculate the amount of compensation needed for shooting a given distance. Next, you simply reference the reticle and hold over the necessary amount. 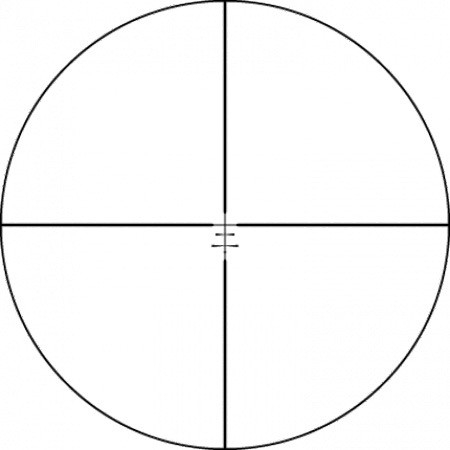 Example of a Vortex MOA reticle. BDC scopes with unspecified hash marks are generally comprised of fixed position hash marks with no absolute distance or drop given between each marking. These will generally need to be run through a specific ballistic program or field verified to determine what each line will represent with your own personal setup. Scopes of this nature tend to be less accurate at longer distances, but are still plenty effective in most situations under 400 yards. 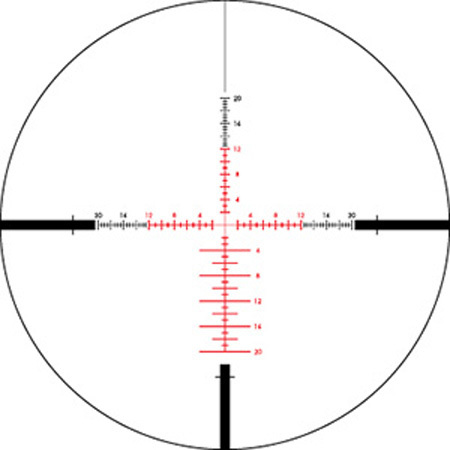 Example of a Leupold BDC reticle. When choosing your next scope the decision will ultimately be directly influenced by your specific needs. Purchasing a scope with adjustable target turrets when your own personal limit is two to 300 yards is wasted money. Conversely, trying to accurately shoot distances exceeding 500 yards with a reticle alone can be extremely inefficient and cumbersome. Take an honest look at what you want to accomplish with your rifle now and in the future to make your best decision off that basis. @Aaron J- All good points, I think the biggest thing for consumers today is just looking through a pile of optics until they find what works best for them. Like you said, " Be honest with yourself", some reticles can makes things complicated real fast and are mostly unnecessary for the general hunter. Thank you! @Donald B- Thats exactly right. I personally prefer an MOA marked turret due to constant changes in your rifle. The Swarovski system that you mentioned is a great hybridized setup that allows for the bet of both worlds! Thanks for reading the article! @Seth D- Great! 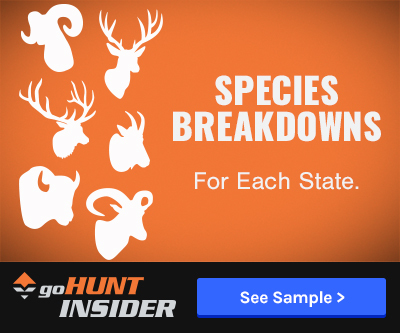 For a hunting scope reticle selection can make a huge difference in close or quick shot scenarios. Thanks for checking out the article! I've used a fixed reticle, BRH reticle, and adjustable turret on successful hunts. They all work, and have pros/cons. If you buy the right scope today, you can basically get all three in one. There are opinions both ways on FFP v. SFP. Go look through one before you buy it. The point remains to 1) be honest with yourself about your shooting skills, and 2) know how to use the equipment you buy. If your load changes, different bullet, powder, etc. your BDC turret has to be changed by the manufacturer. A Swarovski BRH reticle makes this change simple and you never have to take your eye off the target once you know the range. Nice article. The Vortex MOA shown in your story is a great example of a reasonably usable FFP lighted reticle at very lower power. Some FFP reticles are almost completely unusable at lower power. Some of the Christmas tree styles are pretty hard to define below 10 power on a 5-25x56, it doesn't matter if it is a Schmidt Bender that cost $4500 or a $1000 Burris.